1. 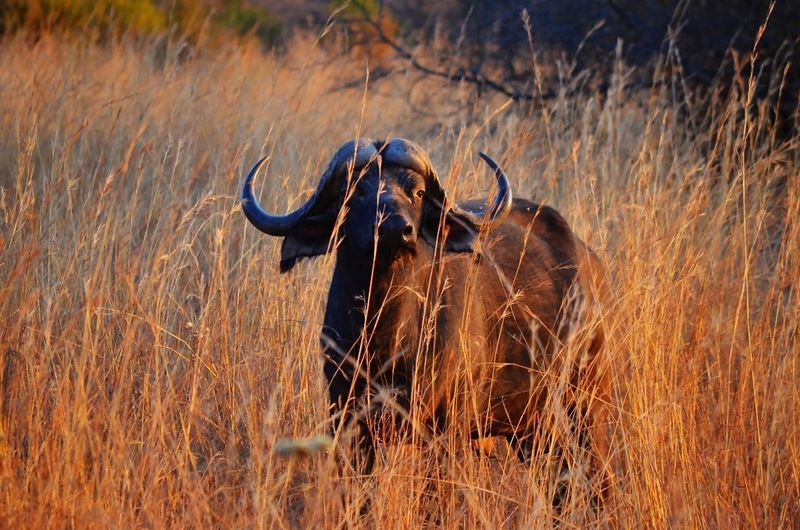 Be prepared – Going on a safari is not your standard travel experience. First of all, it’s probably the result of a lot of planning and saving on your part and because of that you expect to get a lot out of the experience. Unfortunately when traveler expectations are high, their proclivity to buy things they don’t need also skyrockets. Sure, you’re going to Africa and yes you may need to bring some extra items just in case, but do not go overboard. Also, do not bring all of this gear with you while on a game drive. The jeeps aren’t made for comfort they’re made for getting around the nature reserve and there will usually also be a number of other travelers with you creating a somewhat cramped ride. There is not room for a lot of crap so just bring the essentials. It gets chilly in the mornings and evenings so bundle up; layers are best in case you need to add or remove. If you have multiple camera lenses it might be a good idea to either stick with one or use two cameras. Your opportunities to capture great wildlife photos may at times be fleeting and there is no time for constant lens changes. I used a zoom lens most of the time, even when closer in. I also had a smaller point and shoot camera to use in conjunction for when I was very close to wildlife. That way I wasn’t fumbling around trying to get the right lens in place and I never missed a shot. Well, almost never. 2. Not a theme park – Disney World is great and with the Animal Kingdom you can have a great wildlife experience without leaving Florida. But when you are on safari you are not in Florida and you are certainly not in a theme park. This is Africa, the real deal and the animals aren’t tame or socialized, they are wild and act just like wild animals. You need to realize these facts not only to enjoy a better travel experience but so you aren’t a jerk. When you are on a game drive your guide is your best friend. Be nice to him and always do what he says. After a couple of hours riding around in a Jeep you may feel like an expert bushman, but you are not. You are an inexperienced Westerner with no clue what the animals or terrain are really like. Also be respectful of the animals. Don’t encourage your guide to do things that aren’t ethical or which may place the animals in danger. I wrote about it before, but I was shocked when several safari boats surrounded two juvenile elephants in a river in Botswana. Most of the times the guides will ignore these requests, but other times they can also be persuaded by a fat tip. Do not be the jerk offering a tip just so you can get a slightly better photo. 3. May not see the Big Five – I know that this is a once-in-a-lifetime dream trip and that we all put a lot of pressure on ourselves to have a perfect experience, but it’s important to relax as well. I spoke to a number of professional guides in Botswana who all said the same thing. The worst thing about their jobs are tourists who expect to be able to see and do it all at one time. Namely, everyone wants to see the Big Five. This somewhat arbitrary list of animals includes: the lion, African elephant, Cape buffalo, leopard, and rhinoceros. The list is antiquated, no doubt about that. It came about at the turn of the 19th century as a way for big game hunters to prioritize their expeditions based on the animals that were most difficult to track on foot. Since we have replaced guns with cameras a lot has changed, but not this list and it is something that creates a maddening obsession amongst many travelers. The fact is that you are out amongst nature, not Disney World, and nature is unpredictable. The guides know a lot and through constant communication with colleagues can create a variety of amazing wildlife experiences for visitors, but they aren’t magicians. Ultimately they have no control over the wildlife so if you don’t get to see a lion or a leopard, don’t get angry, just accept it as part of the experience. 4. Not all safaris are made the same – As I learned there are a wide variety of safari types from which to choose. Over the course of just a few days I joined a tradition game drive as well as a more unconventional boat game drive. Granted, observing animals from a waterborne vessel certainly isn’t available everywhere, but it is an experience not to be missed. We stayed on a small luxury cruise ship permanently moored in the Chobe River in Namibia. From that vantage point I woke up every morning to the cranky sounds of hippos and the sight of elephants grazing on the marshland. For a closer look, the staff took us out on a runabout over to the Botswana side of the river where we were mere feet from giant elephants swimming, baboons playing and even a crocodile or two cautiously raising their heads out of the murky depths. Even if a water-based adventure isn’t available to you, game drives themselves differ just by the time of day. My favorite was a sunset game drive in which we not only saw a wide variety of animals, but we also saw some of the early night activities of many others. 5. It’s amazing – We spend months, probably years planning a safari trip to Africa all in the hopes that it will be fun and maybe even transformative. And you know what? It is. I’ve always been an animal lover and I was prepared for an amazing adventure, but what I experienced exceeded even those lofty expectations. There is simply nothing like sitting in a rugged jeep in the middle of Africa, a few feet from dozens of graceful giraffes searching for leaves, the sounds of other unknown animals in the distance. This cannot be replicated in any way; it is just something you have to experience for yourself. If you ever had any doubts, and I can’t imagine you have, an African safari should be at the very top of your travel bucket list and please make sure you do everything you can so that you too can have these wonderful moments of unadulterated travel joy. All very true, Matt. The only thing I would add is to open yourself up to taking notice of small things – a colourful lizard, a tiny flower, a bird engaged in interesting behaviour, tracks in the sand. This will enrich your safari experience immeasurably – much more than if you just look for the Big Five and nothing more. Let your guide know you will appreciate information about the less obvious things and you’ll be surprised at how much he or she can show and tell you. How about- Don’t feed the animals! Seriously- we had amazing times on both of our safari trips. On each trip we visited various parks and each had different highlights, animals and things to offer! I can not wait to go again in the future! I was soooo lucky on my safari, I saw the Big 5 all in the 1st day!!! Great tips and photos! LOVE the elephant shot. I had a wonderful experience on my safari. My tip – the tent camps that we stayed at turned off electricity and hot water during the day. Ask about the hours when you arrive, so that you can plan accordingly. I learned this the hard way when I planned to spend a relaxing day in camp, taking a late shower and doing some journal writing in the tent. However, after a morning filled with activity, I returned to our tent to find there was no hot water and no electricity! I went to the front desk to let them know there was a problem, and it was only then that they explained the “hours” to me. I rearranged my day, but a valuable lesson. Your pictures are wonderful! A safari is my dream trip, and of course I hope to see lots of different animals, but I also am pretty sure that there will be plenty of amazing experiences to keep me happy even if we don’t find a rhino. It’s all about your attitude. Wow Matt these photos are once in a life time. Just breathtaking! Great article – loved my trip to Africa – so ENVIOUS of your water part of the trip! Matt, as always, spot on. I would add a professional insight, on game drives, stay away from the tail of the 4×4, the best spot’s right behind the ranger. you may have the windscreen up when cold or rainy and it may get chilly in winter, but you will get full attention from him/her and those precious extra seconds when the tracker or the driver spot an animal. I tell all my clients to do their homework before they hop on a game drive and know a bit about the wildlife you may encounter. Someone who chooses to live and work in the bush 6-weeks at a time absolutely LOVES the bush and the African wildlife. Show him you are just “not another tourist” and you will be amazed at what you see, learn and experience. This is something my hubby really wants to do. It is not an inexpensive venture so I want to make sure that when we actually do it that the trip is as successful as it can be. Thanks for the tips! You bet and you’re right, it is a big trip but so amazing. Do a lot of research, pick the counties you want to visit and then find the best deals. South Africa is a great choice because there’s so many other things to do in the country in addition to safari. That photo of the zebra is amazing! Great photographs, envious experiences !! Appreciating the fact that it’s an honour just to to be in the habitat of some of the most beautiful creatures on earth makes the safari worthwhile. Any sighting after that is an added bonus, I feel. Here in India, the most asked question after a safari is, “Did you see it ?” referring to the tiger. If they don’t see a tiger, they fell disappointed, even cheated. We have even been told by people, “Dont bother going on the safari, you wont see anything. and there is no refund”. We wanted to tell them, you go to see the forest, nature at its purest….but saved our energy for the better. I would so love to go to a safari! To see all those animals upclose in their natural habitat would be amazing. Wonderful advice. I was fortunate enough to see the Big 5 on my first day at Kruger along with a multitude of other amazing wildlife. I’d like to safari in Zambia on this upcoming trip. Always open to suggestions. Good work Matt, you have listed all the valid and crucial points to make the safari a brilliant experience. I have been organizing safari tours in India for more than a decade now and I have an advice for all wild life wannabes, “Keep your expectations at the minimum and you will enjoy the most”. Just like you said, there are more to see in a jungle than the big 5. Thanks for a very well written article. My wife and I can’t wait to visit to cross off the top item of our bucket list. 6 months and counting. not very lucky to see all the big five. but me trip was awesome last year. yes i didnot handeled the cameras with care and learned that i should have extra cameras with me. not very lucky to see all the big five. but me trip was awesome last year. yes i did not handle the cameras with care and learned that i should have extra cameras with me. Hey Matt– what a great list… now that I am preparing for my imaginary safari (as yet, unscheduled) I will be sure to take these tips with me on the road…. as a side note, I went to type in your url (before morning coffee) and accidentally wound up in the world of rabbit breeding – fair warning landlops.com is a scary, scary place! Be quiet, be patient, and be grateful for whatever opportunities arise. Also know when to move on, and let the other safari goers have the better view. And don’t feed the hyenas. Just coming back from a trip to South Africa and I’m stunned! First safari and we saw all five of the Big Five. IT. WAS. AMAZING. Great safari shots! I’d like to add that you spend a lot of time in the jeep. It might be obvious to some people but I hadn’t thought about the fact that I’d be spending a couple of hours every day sat down and waiting to see the animals. It’s an amazing experience but it isn’t all action and adventure. That’s true, in fact it’s not at all action and adventure. 🙂 Although I love the experience and can’t wait to do it again. I live in South Africa and, having been a tour operator for many years have been lucky to have been on many safaris and yet, every time I climb onto that jeep, it feels brand new and it is, there is always something new to see, learn and experience. My advice is try not to capture every single shot, take time to enjoy what you are seeing, feeling, hearing and smelling. Something else I love, is on an evening game drive, once it gets dark, ask the ranger to stop and switch off the engine of the vehicle, then listen to the silence and look up at the sky – you will never see so many stars, truly so good for the sole. There are of course less expensive ways of exploring nature in SA, including a self drive option through Kruger National Park. Safari is a wonderful experience. Try a walking Safari and Night drives if possible. Make sure you have a really knowledgeable guide and listen & learn. Remember to take your eye away from the camera and enjoy the experience. You can store thousands of photos in your head and I cannot stress too stingily that you are there for an experience of a lifetime and not to check off a tick list so try to spend some time sitting still and observing quietly, after about 15 -m20 minutes you become part of the scenery and accepted by the animals who will then start to behave naturally. This is usually when you see the best stuff. Hope you have a wonderful experience. Matt BTW thanks for your tips on Ocean Nova — much appreciated. Hi Matt, I know all these posts are old but I’m like Brandi, I’ve been planning my safari a long time. Huge dream and it’s one big thing to check off on my bucket list. Very nice of you to give a heads up on what to expect. I can find pleasure in the smallest things so I know I won’t be disappointed, no matter what. I just need to know the best organization to go through to schedule a safari. I hear there are scams so I don’t want to get myself in a bad spot. I also hear there are places in Africa that are not packed with so many tourists? Do you think I would be ok if I went alone as a single female? Would I be safe? Just curious. Thanks again and I hope you are still responding to this site. Can’t wait:). Hello Matt, thanks for all these great tips, can I find a nice safari to go around The Fairmont Zimbali lodge? I have no idea, but I’m sure the hotel can help you out! Great post! Some great tips and advice! We are heading to Kruger and Zambia in October, and so excited for our experiences. Thanks for the post and sharing the pictures!